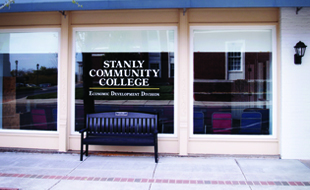 Stanly Community College recognizes the need for adherence to course pre/corequisites. The College will follow the course pre/corequisite requirements as established by the North Carolina Community College System and the College. 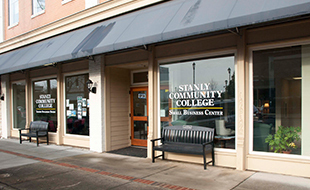 Stanly Community College follows the Reinforced Instruction for Student Excellence (RISE) developmental education program for placement into gateway courses either with or without a co-requisite, as defined by the North Carolina Community College System Office, Academic Programs. RISE Prerequisites provide instruction through transition courses which offer the developmental foundations for gateway English and Math courses. Successful completion of the gateway English or Math course indicates that the support course was successful as well, thus earns a grade of "P" for the corresponding co-requisite. Students who successfully complete the co-requisite course but not the corresponding gateway English or Math course will not be required to repeat the co-requisite course when repeating the gateway English or Math course. 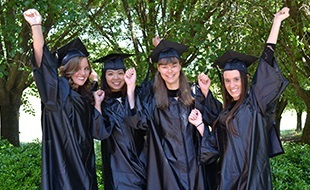 Students who have earned a Bachelor's or Associate's Degree, from an institution in which the college would accept credits from, have satisfied the requirements for RISE Pre and Co-requisites. For more information regarding the acceptance of credit, please see Transfer of Credit from Other Institutions for Curriculum Policy. Students wishing to register for a course requiring a state or local prerequisite, will produce official documentation containing the prerequisite credit, by means of an official transcript, placement test scores or other approved documentation, to the Office of Enrollment Management. The Office of Enrollment Management will record the receipt of the documentation and will forward any transcripts to the Curriculum Student Records Coordinator. Any valid credits from official transcripts will also be added to the student's academic record with SCC. Students who cannot produce official documentation, including official transcripts and/or placement test scores, will not be allowed to register for the course in question. Students wishing to register for a course requiring a state or local prerequisite, who have not completed the requirements, should contact his/her Success Coach or the Dean of the area in which the student wishes to enroll. At that time, the student will present his/her situation and the Dean will determine whether qualifications have been otherwise met and the prerequisite can be waived. If a waiver of the prerequisite can be made, the Dean will register the student and submit an "Override of Pre/Corequisite Form" to the Office of Enrollment Management within 24 hours. Students wishing to register for a course requiring a state or local prerequisite, who have not completed the requirements and have no valid waiver reason, must successfully complete the prerequisite before attempting further registrations for the course in question. Any registrations for courses without the submission of an "Override of Pre/Corequisite Form" are subject to deletion by the Office of Enrollment Management to prevent possible audit exceptions. All "Override of Pre/Corequisite Forms" will be collected each semester and retained in the Office of Enrollment Management until the semester in question has been audited. Official documentation, with regard to transcripts, is defined as an official, sealed transcript delivered to SCC's Office of Enrollment Management. Transcripts can be received through US mail or hand-delivered, as long as they are sealed in the envelope from the institution. Electronic transcripts received directly from the institution will also be accepted. Placement test scores from other colleges can be faxed or emailed to SCC's Office of Enrollment Management, if it is evident that the school sent the information, or mailed in a sealed envelope from the college. SAT scores and AP credits from The College Board should be requested from The College Board and be sent directly to the Office of Enrollment Management. Students wishing to register for a course requiring a state or local corequisite, should be registered for both courses simultaneously or have previously completed the corequisite. Withdrawing or dropping a course or its assigned co-requisite will result in a withdrawal or drop from the associated course.